After talking about the i8's performance, BMW has released another video with its eco-friendly sportscar in which they provide more info about the design. BMW says the i8's design expresses "dynamic sportscar" with a long wheelbase, short overhangs, scissor doors, LED headlights, the traditional kidney grille and a sweeping silhouette which makes it look as if it's going forward even if it is standing still. The 2+2 interior cabin is driver-oriented and is made from renewable and naturally-treated raw materials. As a reminder, the BMW i8 is powered by a 1.5-liter 3-cylinder TwinPower Turbo gasoline engine developing 231 HP (170 kW) and 236 lb-ft (320 Nm) of torque. There's also an electric motor providing an extra 131 HP (96 kW) and 184 lb-ft (250 Nm), allowing the vehicle to have a combined output of 362 HP (266 kW) and 420 lb-ft (570 Nm) of torque. It can return 94 mpg US (113 mpg UK or 2.5 liters / 100 km) and has an electric range of 22 miles (35 km) during which it can hit a top speed of 75 mph (120 km/h). 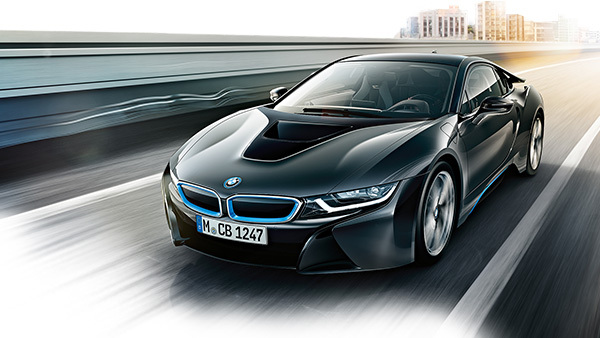 In hybrid mode the BMW i8 needs 4.4 seconds until 62 mph (100 km/h) and can achieve a maximum speed of 155 mph (250 km/h).